Flea control for your pets is not only important for their comfort, but for yours as well. 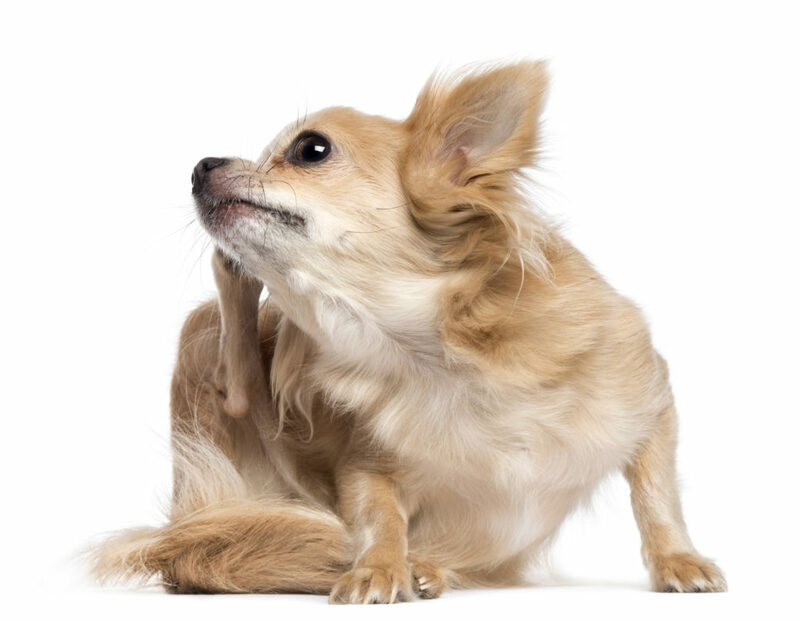 If you see your cat or dog scratching, fleas are the likely culprit. If your pet is allergic to flea bites, the intense scratching that results could lead to skin irritation and even infection. By working closely with us here at Shackleford Road Veterinary Clinic, we can develop an effective method of flea control for dogs in Little Rock. After a comprehensive consultation with one of our vets, we can advise you as to the best flea control product for your particular situation. Currently, we offer Comfortis, Canine Advantix II and Frontline Tritak to help in the control of fleas on your dog. Consult with our veterinary team to determine if it is safe to use topical products, such as a flea bath, on your dog in addition to the flea treatments you obtain from us. In some cases—your pet’s health is compromised, for example, or there is a duplication of ingredients—there are some products that shouldn’t be used together. If your cat is strictly an indoor pet, you might wonder why you need to worry about flea control for cats. Fleas can enter your home on your clothing and shoes before quickly finding a welcome host in the form of your unsuspecting cat. Not only do fleas bring with them intense itching, but they can also cause other conditions such as tapeworms. At Shackleford Road Veterinary Clinic, we carry Cheristin and Revolution for cats. Sometimes, your pet might develop a secondary condition as a result of having fleas. This most often occurs because your cat or dog is allergic to the flea saliva that he or she is exposed to during a flea bite. Some signs of such a condition include loss of hair, sores, and intense, uncontrollable itching. In this case, our veterinary team will assess your pet to determine if additional treatment is needed to combat the condition as we work to rid your pet of fleas. It is important to note that effective flea treatment often means tackling the flea infestation that is in your home as well as on your pet. Be sure to thoroughly wash all of your pet’s bedding and clothing in hot water and dry on high—if the material’s washing instructions indicate that it is safe to do so. Vacuum your home’s carpets thoroughly. Ask us about other methods of controlling fleas in your home.